It’s tempting to shell out the cash to have professional movers pack and transport your home for you, but you can save a lot of money by simply buckling down and doing the dirty work yourself. If a friend drives a truck, they may be willing to help you move a few extra boxes to your next location. A lot of people can be bribed with pizza and drinks, so turn your move into a fun gathering and save money in the process. You should never settle for the first option you find in life. 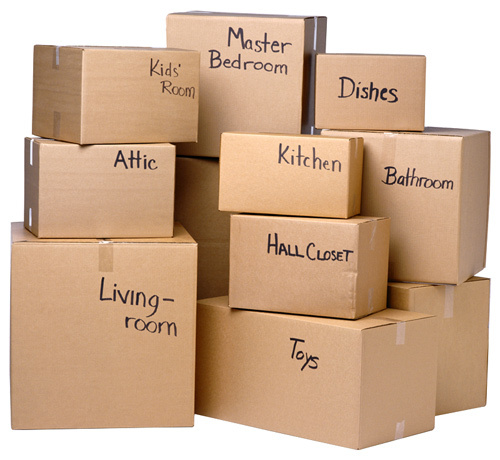 There are dozens of moving companies out there, but each one offers different rates and services. To save cash, your best bet is to ask for quotes from several different movers and pick the least expensive one. You can look online to find cheap truck rental if you’re taking a DIY route or moving long distance, and you can even save a ton of money by renting a pod and having a moving company transfer it. You wouldn’t just throw your expensive china in the back of a van. Talk to anyone who has ever moved and they will probably tell you horror stories about valuable belongings that were broken or lost in the move. Instead of trusting the movers with your prized possessions, keep them in a well-guarded box in a safe, stable part of your vehicle. The costlier items will be much better protected if you take them into your own hands. There’s no reason to blow big money on moving. If you’re willing to put in the work and cut a few corners, you’ll soon be settled in your new home with cash to spare. And that’s budgeting everyone can live with.